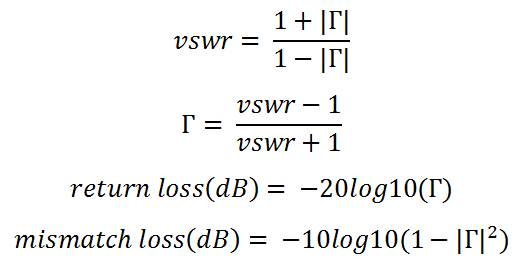 The voltage standing wave ratio (VSWR), reflection coefficient (Τ), return loss and mismatch loss are all dependant on one or the other, as can be seen by the equations below. This calculator consists of four design groups. 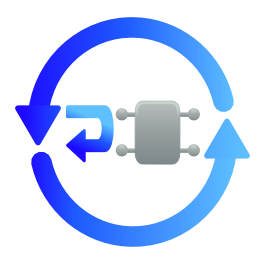 Each group requires one objective input and the remaining three are returned.